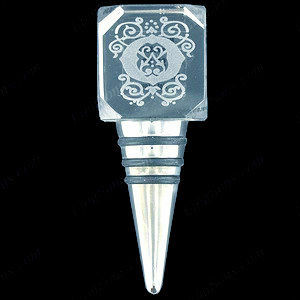 New to our range and by popular request, we now make these beautiful wine stoppers in grade A Crystal. 2D Conversion, 1 Person Or Pet. Excellent for dinner parties or for saving that special bottle of wine for another time. The unit has a chamfer in each corner. This Crystal is also available in 3D, please browse our site for details. This crystal comes packaged in a premium gift box. Your photo or/and phrase will be laser etched within and never wears, tears, or fades away!